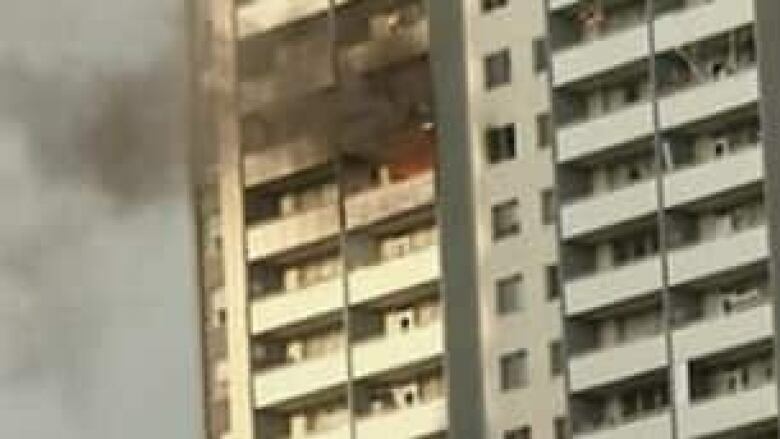 Careless disposal of cigarette butts by smokers in Toronto high rise buildings is causing an "alarming" number of balcony fires this year, says a top fire official. 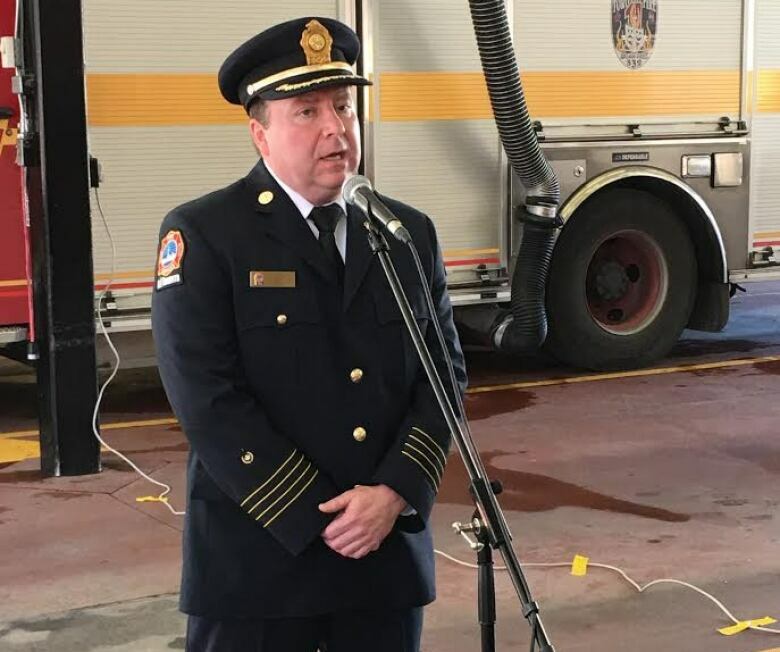 Toronto Deputy Fire Chief Jim Jessop said crews have responded to 27 fires in Toronto so far this year caused by carelessly discarded cigarettes from units above that landed on balconies below and ignited combustible material. That compares to the 25 balcony fires that occurred in all of last year. This year, there has been an average of more than one balcony fire a week. The balcony fires in 2017 have caused property damage in excess of estimated $300,000, he said. "We implore the occupants of these buildings to stop disposing of cigarettes over your balconies and causing fires," Jessop told reporters on Wednesday. None of the fires has caused a fatality or serious injuries but they caused significant high rise fires, he said. No charges have been laid in the fires. "Our fear is the number of fires resulting from carelessly discarded cigarettes over balconies in high rise buildings is going to increase." The combustible material on balconies has included potted plants, peat moss in those plants, couches and chairs. 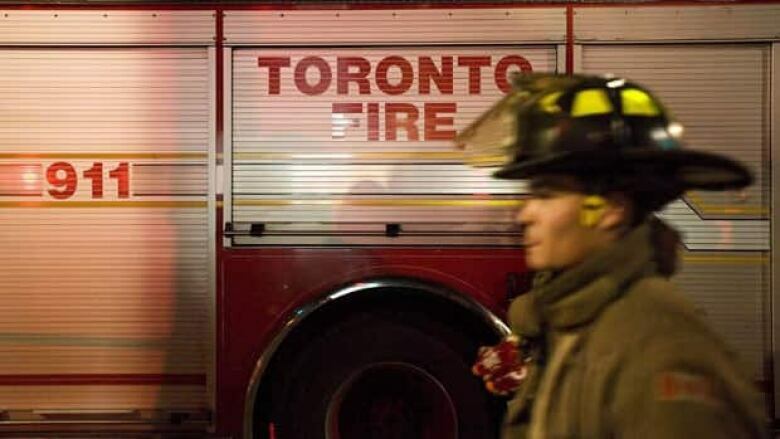 Jessop said fire crews had to rescue a woman in a wheelchair on Monday due to a balcony fire at 245 Dunn Avenue, near Queen Street West in Parkdale, because the fire was threatening to spread to her unit. All residents of high rise buildings should take a good look at the items on their balconies to determine if anything is combustible, he said. He urged residents to be "extra cautious" about what they put on their balconies. On Sept. 24, 2010, a massive fire at 200 Wellesley St. E. was caused by a carelessly discarded cigarette from above that landed on a balcony. Toronto Fire Services conducts "post incident education response" program in all apartment building where these fires have occurred to tell tenants how to prevent similar fires. Jessop said Toronto Fire Services' public education division conducts a "post-incident education response" program in all apartment buildings where these fires have occurred. That means all tenants are given material that explains the cause of the fire and how to prevent similar blazes. It is also launching a seniors fire safety awareness month to increase awareness among seniors in multi-unit residential buildings of two leading causes of fire. The causes are unattended cooking and improper disposal of smoking materials. In a news release, Toronto Fire Services said smokers should "put it out, all the way, every time." Use a sturdy ashtray with a wide, stable base or a can filled with sand to collect ashes. Never toss hot cigarette butts or ashes in the trash. Chairs and sofas catch on fire fast and burn fast. Don't put ash trays on them. If people have been smoking in the home, check for cigarettes under cushions. Never smoke in a home where oxygen is used. If you are drowsy or falling asleep, put it out.